"Well, that's that," he said. "Now I'm off!" "Well, let's start then!" He stepped out of the front door. It was a fine night, and the black sky was dotted with stars... "Good-bye," he said, looking at his old home and bowing to the door, "Good-bye, Gandalf!" Wait, what. Who the hell are these dwarves? Where did they come from? To our surprise, they were just hanging out and labelling crud while the wizard and hobbit were arguing about a magic ring. Earlier in the chapter, Tolkien mentioned that some dwarves helped Gandalf unload his firecrackers a few days before the party, but nowhere are we told whether these are the same dwarves, why they're here, or what their names are. Are they some of Bilbo's companions from The Hobbit? Traders? Hirelings? Adventurers? Your guess is as good as mine, because Tolkien never tells us in The Lord of the Rings. With just a few throwaway lines, Tolkien is able to kindle all of these questions in the imagination of a curious reader. These are questions he was happy to raise, but felt no particular need to answer. Why not? I think because he trusted his readers and let them fill in some of their own particulars. This trust in his readers is part of his art. It gives his books their expansive feel. It's the opposite of that style of writing where every element in the story is stitched directly to the plot -- an approach summarized by the rule of Chekhov's Gun: only essential details have a place in the story. Of course the book was written to please myself (at different levels), and as an experiment in the arts of long narrative, and of inducing 'Secondary Belief'. It was written slowly and with great care for detail, & finally emerged as a Frameless Picture: a searchlight, as it were, on a brief episode in History, and on a small part of our Middle-earth, surrounded by the glimmer of limitless extensions in time and space. 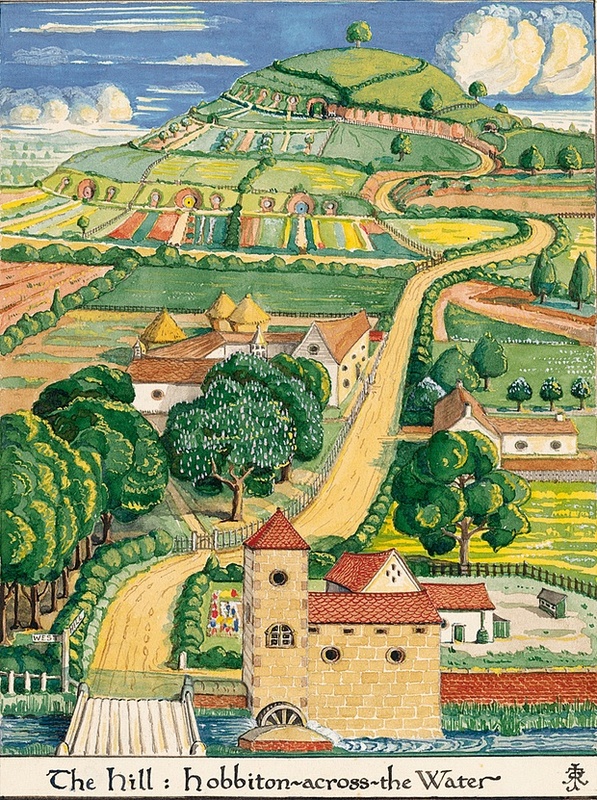 The overall effect of Tolkien's approach is a living, three-dimensional world. The half-explained details give Middle-earth a sense of depth by offering us shadow as well as light. In fact, there is more shadow than light. 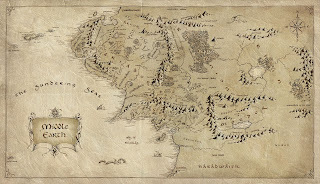 The Lord of the Rings will take us to just a few places on his vast map of Middle-earth. As Tolkien says in his letter, on the edges of the story are "limitless extensions in time and space" -- lands that his books never visit, characters mentioned in passing, deeds that come to us just as rumours or guesswork. But it is precisely this shadowplay that makes Middle-earth so engrossing. By holding information back, Tolkien gives us the fabulous luxury of deciding for ourselves who those dwarves really were and why them came to Bag End. Incidentally, I think the Frameless Picture also explains the success of another grand fantasy world that I often write about: the Star Wars universe. In the original trilogy of movies, Lucas and his team were also able to create the sense that they were merely shining a seachlight on a brief episode in a much larger history. As a result, just like in The Lord of the Rings, by leaving many things unexplained, they induced their fans to invest themselves into that world. What were the Clone Wars? How did the Jedi fail? Who's Boba Fett? These were the questions that kept me dreaming when I was a child. (The tragedy of Episodes I, II and III, of course, is that they patiently explained all these mysteries, and sterilized that world from further intrusions of the imagination). To read on, here is my commentary on Chapter 2. I recently reread the Silmarillion, and I had the same impression -- these are stories of a much larger world, undiscovered to us. I have always been skeptical of Chekov's Gun. It makes sense in playwriting where you have an audience with rapidly numbing buttocks waiting for your story to resolve. But in novels or series where your space is practically infinite imparting more than the minimum level of detail is an option, not an error. It's even more important for fantasy and science fiction: as you said (and George Lucas demonstrated), a fantasy story should never explain away or make use of every detail of the world we're in. An even more striking example of this is Mervyn Peake's Gormenghast trilogy. Something like 75 per cent of the details in the books could be cut without ruining the main plot, but richness of the world, and the identification of the reader with characters crushed under centuries of social rules and pointless rituals, would be lost! As my dad, the amateur pin-up photographer, always said; "It's not what you reveal, it's what you conceal that makes the picture interesting!"